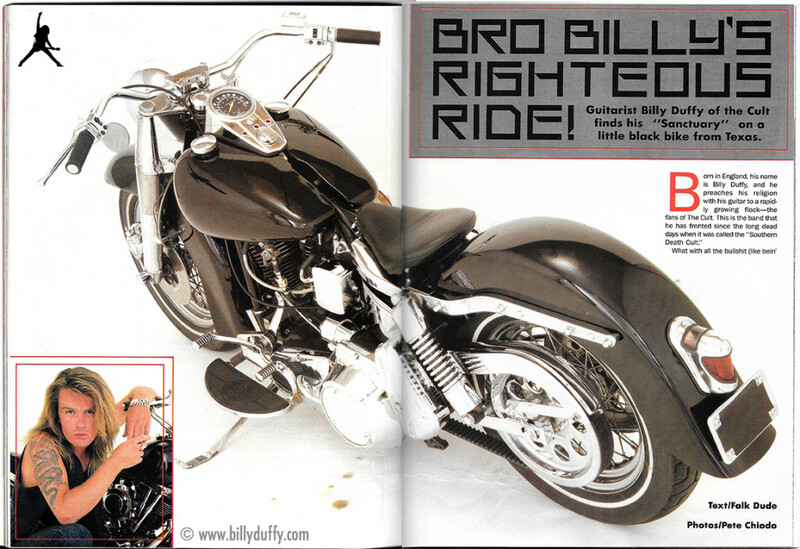 This is the first two pages of the interview that Billy did with Supercycle magazine that appeared in January 1989. "As you can see from these photos from Supercycle I completely changed the Harley from what you can see in the previous shot. The thing is that by the time the magazine came out I was completely bored with it as it kept breaking down. It was a 1981 bike which wasn’t a very good year for Harleys. So I sold it to a French guy for $10,000 cash and literally took the money in a brown bag drove over to the valley in LA and gave it to Bob Bradshaw and said ‘build me one of your special rock guitar rack systems’ ‘cos I didn’t trust myself not to just blow the money."